Introducing the Theta Flex, the New Successor of the Theta Optical Tensiometer. The Theta Flex is the contact angle meter that enables all measurements in one instrument. With its modular design, it is designed for reliable and repeatable measurements of wettability and adhesion, even in the most demanding industrial and research applications. The Theta Flex is accurate, repeatable & flexible and has been created with high quality and effortless user experience in mind. 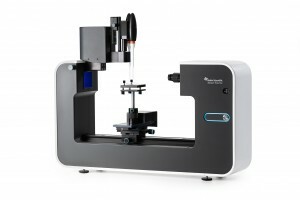 Together the ThetaFlex and a completely redefined OneAttension software form an attractive and modern optical tensiometer platform that has been built to last. With the modular design, all applications can be fulfilled with one instrument and the instrument can be tailored for your needs. Direct graphing, reporting and statistics.